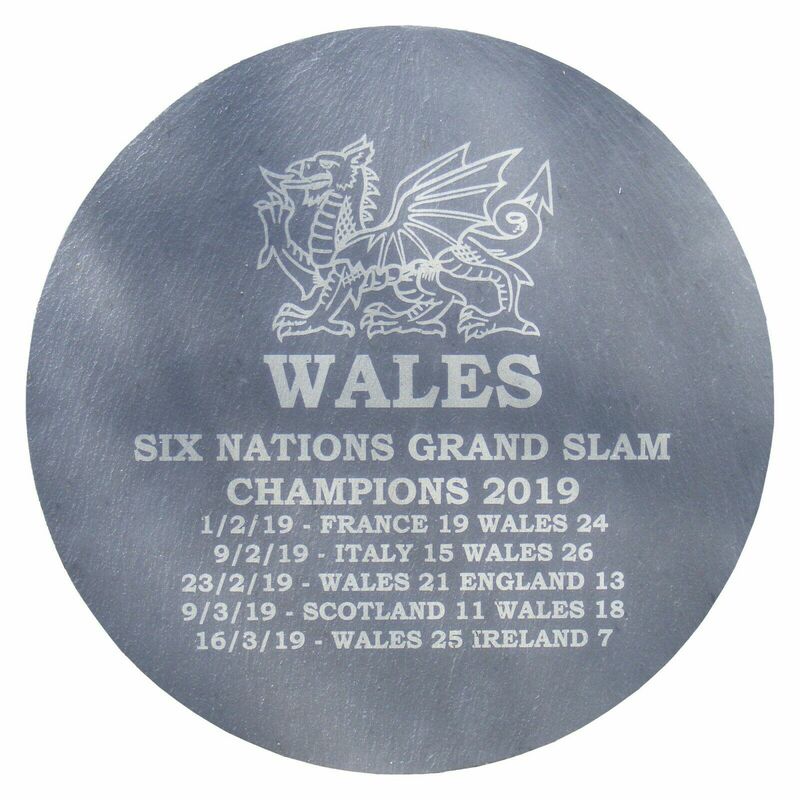 2019 Six Nations Grand Slam Commemorative champions plaque. Available in 2 designs. 2019 Six Nations Grand Slam Commemorative champions plaque. Fantastic gift for any WRU supporter! 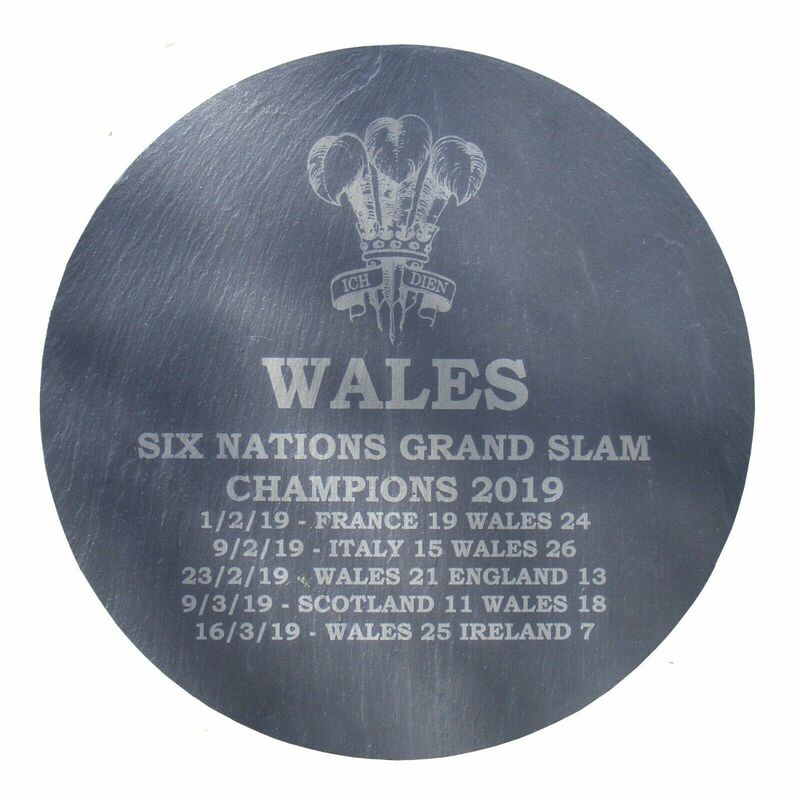 Hand made here in Wales from natural Welsh slate, this round plaque features a welsh dragon or three feathers design at the top with Wales match dates and scores laser engraved below. 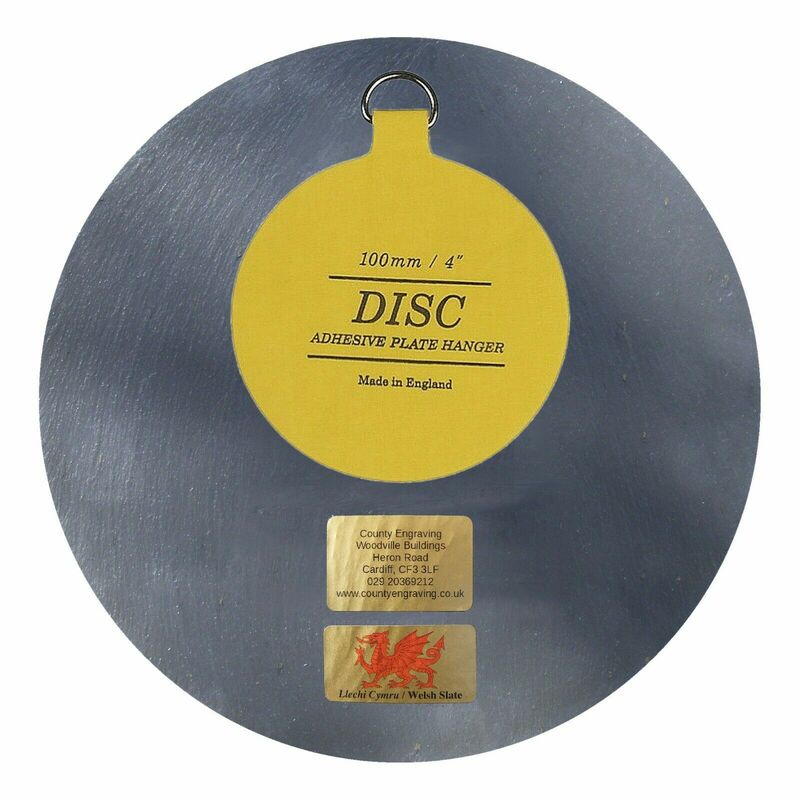 Our large slate plaques measures approx 23cm diameter and has a hanger attached to the back allowing easy no fuss hanging. The engraving colour may vary from off-white to a sandy or ash-grey depending on the batch of slate and the natural differences found within it. We can add one extra line of engraving on the bottom of this plaque. This is limited to 30 characters so not to change the design of the plaque.